Adults dealing with the unpleasant effects of growth hormone deficiency as they age have options for HGH therapy medications. Depending on the level of deficiency, they can choose either HGH or sermorelin treatment. Human growth hormone (HGH) injections – HGH therapy injections provide the body with an immediate increase of human growth hormone. For people who have numerous symptoms of low GH levels, this form of treatment is the best option. Sermorelin injections – sermorelin is a growth hormone booster. What it does is send signals to the pituitary gland to increase HGH production. The effects take longer to manifest, so it is a better treatment for adults in the preliminary stages of GH decline. How can a person know which type of HGH injections is the best for his or her needs? During the consultation with an experienced hormone advisor, you will discuss the symptoms you currently have and how they are affecting your life. Those answers and the results of blood testing will help the doctor ascertain the best treatment for your body. What Options Do I Have for HGH Therapy Medications? You must use great care when purchasing HGH therapy medications. Only a handful of brands are doctor recommended for use. HGH is one of the most counterfeited medications and buying it online from unregulated sources can turn up inferior quality and potentially dangerous products. 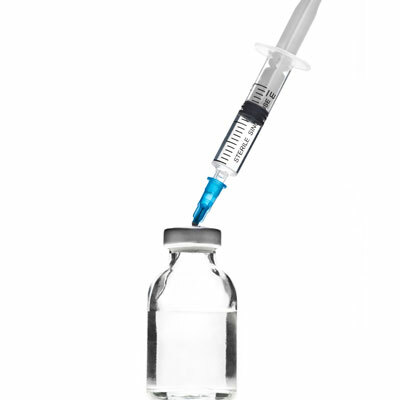 To ensure receipt of the best type of HGH injections, always buy your medication from licensed US pharmacies. Are There Different Types of HGH Injections? HGH therapy medications are always injectables, but the various pharmaceutical companies do have multiple options. Individuals looking to save money will do best opting for the standard vials that contain lyophilized (freeze-dried) HGH. After mixing the powdered HGH with a diluent solution, you then use insulin syringes to inject the HGH. Each manufacturer also offers at least one option for injector style pens. Norditropin FlexPro Pens come in 5, 10, and 15 mg sizes. After the first use, they are storable at room temperature for no more than 3 weeks. Before use, they must remain in the refrigerator. Norditropin NordiFlex Pen is a 30 mg injector pen that follows the same guidelines as the FlexPro Pens. Omnitrope Pens come in 5 and 10 mg sizes and are prefilled and premixed units that require constant refrigeration. Omnitrope also supplies a 5.8 mg vial requiring mixing and uses insulin syringes. Saizen easypod is a device that automatically inserts the needle into the system and delivers a preset dosage of HGH. Saizen one.click pen requires reconstitution using either the click.easy or saizenprep systems. HumatroPens come in 6, 12, and 24 mg sizes requiring both mixing and refrigeration. Humatrope also provides a 5 mg vial to use with insulin syringes. Genotropin Pens come in 5 and 12 mg sizes and require refrigeration. Replaceable cartridges mix the HGH inside the pens. The Genotropin Mixer can use either the 5 or 12 mg cartridges to mix the medication before using with standard insulin syringes. Genotropin MiniQuick is a disposable, prefilled syringe available in 10 different strengths. An added benefit is that it you can store it at room temperature for up to 3 months, making it an excellent choice for traveling. For additional information on the different types of HGH injections, please contact our hormone clinic for a complimentary consultation.